Fifth draft, thanks to Jan Waernberg and Tracy Dungan for support during the writing of this essay. This is the preliminary English translation. One of the great ironies of the technology-race of the second World War was the different approaches of the axis and the allies concerning new technology. Germany wanted to win the war backed up by its heavy mechanical industry, its mines and its chemical industry. The rocket program was started because of military interest in the rocket societies, particulary the Berlin-based Verein für Raumschiffahrt (Society for Space Travel) from which several engineers were recruited, among these Walter Dornberger, Leo Zanssen and the well-known von Braun. The rocket societies and the entire movement around them was growing in the surge of futurism brought about by the Fritz Lang movies Frau im Mond8 and Metropolis. The poster promoting the Fritz Lang movie "Frau im Mond" from 1929. Why is the first and second World War so fascinating? I honestly don't know for sure. One reason may be that the entire culture was mobilized in the war, on both sides. For example, USA utilized Navajo-indians as "encryption devices" -- no living human outside the tribe understood the Navajo-language,9 so the japaneese had no chance of decrypting their radio transmissions. The Germans encrypted their messages by machines like the Enigma or Lorenz. However, the math genius and computer scientist Alan Turing, and the former chemistry engineer Bill Tutte were breaking the German ciphers utilizing crude computers.10 The Germans understood something was going on, as the British clearly knew in advance the location of German submarines. However, the quality of the encryption machines was never doubted -- instead the British were believed to utlize prophets and fortune-tellers to localize the submarines, so as a countermeasure German astrologists and mystics were mobilized. Based on pendulum movements over maps entire submarie brigades were sent on war missions. So sometimes the "culture mobilization" lead to immediate failures.11 The experiments were outrageous: sound guns, electric weaponry, wind weaponry, freezer weaponry... everything was tested. The rocket program is perhaps best understood as such a "culture mobilization" beginning with the takeover of the rocket societies. And so the Third Reich developed a ballistic missile, V-2, which was largely strategically useless without the technology posessed by the others. A ballistic missile like V-2 was simply too expensive compared to a conventional bomb, and the rocket program devoured resources that could have been used in much better ways (from a German perspective). The real value of a ballistic missile would not come about until you equipped it with a nuclear- or chemical warhead. The conventional TNT warheads were no strategic advantage. The strength of the V-2 rocket was its psychological effects. The rocket would fall and hit its target at a speed of 3600 kilometers an hour. This meant, of course, that when you heard the scream of the falling missile cutting through the air, you knew you were a survivor; the victims never heard the missile. The repetitive "retaliation cries" were supposed to terrify the population even though the actual impacts didn't kill that many. V-2 was thus a refined terror weapon, aimed at the civilian population. I notice that apart from the widespread complaint that the German pilotless planes "seem so unnatural" (a bomb dropped by a live airman is quite natural, apparently), some journalists are denouncing them as barbarous, inhumane and "an indiscriminate attack on civilians." After what we have been doing to the Germans over the past two years, this seems a bit thick, but it is the normal human response to every new weapon. Poison gas, the machine-gun, the submarine, gunpowder, and even the crossbow were similarly denounced in their day. Every weapon seems unfair until you have adopted it yourself. But I would not deny that the pilotless plane, flying bomb, or whatever its correct name may be, is an exceptionally unpleasant thing, because, unlike most other projectiles, it gives you time to think. What is your first reaction when you hear that droning, zooming noise? Inevitably it is a hope that the noise won't stop. You want to hear the bomb pass safely overhead and die away into the distance before the engine cuts out. In other words, you are hoping it will fall on somebody else. So also when you dodge a shell or an ordinary bomb -- but in that case you have only about five seconds to take cover and no time to speculate on the bottomless selfishness of the human being. The V-1 was certainly a "spin-off" project from V-2 (the autopilot used theory and mechanics developed for V-2) so you could call this a success of the rocket program. But when the V-2 eventually started falling over London early September 1944, the population was already used to the V-1, and the rockets would cause no further demoralizing effects, even if it was certainly much more horrifying than the V-1. The Swedish military reconstruction of the V-1. The German missiles inspired new ways of thinking within all three branches of defence. The Naval Forces viewed aerial torpedoes as a variant of underwater torpedoes, the Army viewed them as an alternative artillery and the Air Defence saw them as an unmanned aircraft with several possible tasks. The development of Swedish [missile-] systems started quickly after finding the German aerial torpedoes in 1943. The first experimental missiles (aerial torpedoes) RB310 and RB311 were technically copies of the German V-1 missile. (...) The main part of the industrial work on RB310 and RB311 was conducted by SAAB (The Swedish Aeroplanes Incorporated), who would already early 1948 found a separate office for aerial torpedoes. RB310 and 311 were manufactured in some 50 pieces at SAAB. After this, serial production was transfered to the Central Air Workshop in Arboga. During the 1950ies RB315, RB316 adn RB304 were developed. 1954 the Department of Missile Systems at SAAB was founded, which was finally in 1983 reorganized to form "SAAB Missiles". Nowadays the company is part of SAAB Dynamics.20 To claim that all modern Swedish missiles are descendants of the V-1 would be no exaggeration. The idea underlying the V-1 robots were indeed nothing new. Several military scientists had already put forward ideas involving autopiloted airplane bombs, but the Germans were the ones to succeed in developing and mass produce them in practice. Then something truly unique took place. A German soldier operates what is likely the worlds first joystick. The explosion blocked his ears and the horses sank down on their knees. The moments ago so clear sky was darkened and glittering metal fragments started raining down. Ivar's horse ran away to a mound of stones. Some trees broke off, and bits of coal fell down close to the dwelling-house, where his wife Alma and their daughters Gulli and Vera were located. A piece of fence was on fire. Somebody called police officer Gösta Östergren, who had his office in Bäckebo, as well as the Home Guard John Andersson. The county police comissioner and county bailiff in Kalmar were also informed. The most probable look of the "Bäckebo bomb", photo from Peenemünde. The task of examining the remains of the "aerial torpedo" was given to Henry Kjellson, an experienced aerial wreckage expert, otherwise mostly known for constructing the airplane Tummelisa and for having written some books on ancient technology in the spirit of Erich von Däniken. Among other things he wrote a book called Seven Nights On Top Of the Cheops Pyramid, where he describes his relation to the pyramids, and in the book Technology In Prehistoric Times he joins in on the Atlantis-theory for explaining the link between the two sun-worshipping cultures in Egypt and South America. Apart from this he interprets the prophecies of Hesekiel in Old Testament as if the prophet saw a vehicle, part airplane, part helicopter. His conclusion from numerous unconnected pieces of induction evidence is that an advanced civilization populated Earh in the past, and was destroyed by an asteroid collision or similar about 4000 BC. His books in this genre is read mostly by fanatic ufologists worldwide. Earlier this war, Sweden was mostly known as a close German collaborator. This was a characteristic of the coalition government under prime minister Per-Albin Hansson, known as "realist politics". The financial moguls Marcus and Jacob Wallenberg acted as diplomats for Sweden while at the same time carrying out their personal business. Jacob dealt with the German trade treaties and had arranged for iron ore to be exported to the German war industry.35 The following was also concerned "realist politics": 2 140 000 German soldiers were permitted to go to the Russian war front in Norway through Sweden,36 communists and other dissidents were sent so camps in northern Sweden, hundreds of nazi-critical newspapers were censored, the nazi defector Hermann Rausching's The Voice of Destruction was withdrawn and censored three times,37 and an absolute low-water mark came when the government censored Karl Gerhard's variety Gullregn because a satirical song called The Infamous Horse of Troja was performed.38 For surveillance of the "enemy within", the security police was expanded from 20 to 1000 employees.39 The minister of foreign affairs, Christian Günther wanted to ban the communist party to avoid German dictates on the matter. (...) the scientist R.V. Jones att the British air command could create his own image of the rocket and make a sketch of it's looks. It also confirmed the conclusions he had drawn earlier during 1943 based on agent reports and aerial photographs. The rocket was no more the figment of the brain that lord Cherwell, the scientific advisor of Churhill, had hithereto believed it to be. The under secretary of state for foreign affairs, Vilhelm Assarson, approved the operation after consulting Günther. During October/November a surveillance team of four English soldiers under the command of liutenant W.H. 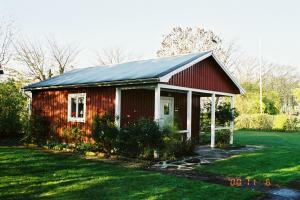 Allen was installed in Ottenby at southernmost Öland, the long island you find close to Sweden in the Baltic. The soldiers were accomodated in the boarding-house in Näsby, and radio surveillance equipment suited for the guiding system of the Wasserfall missile was installed in a small cabin.46 This is probably the first flagrant breach of Swedish neutrality during second world war, as we suddenly allowed outright military activity on Swedish territory. Maybe this was also the reason to why the Swedish military ranks were told the British were to install and test radar equpiment -- an obvious lie. The radio surveillance was of no use against the real V-2:s, of which 80% were entirely mechanical and most definately not radio controlled.47 The first days of September the Germans started firing V-2:s in anger. No real defence against the screaming retaliation rocket existed, and still does not exist today. The American "Patriot"-missile used for taking down enemy missiles is actually mostly worthless and may even cause more damage in populated areas -- the missiles do come down after all. As the United States tried to create a robot defence for shooting down the missiles from space, the so-called "Star Wars" or SDI (Strategic Defence Initiative), the Soviets were finally loosing the cold war of arms racing, even if no fully functional SDI-system was ever completed. However the radio surveillance station installed in Ottenby, approved by the Swedish government, kept intercepting rocket guidance systems until Peenemünde was occupied by German troops the first days of February 1945. The German rocket program is still fascinating. The extraordinary speed at which innovations took place which would take decades for the superpowers to copy, experiments aimed at air defence (Wasserfall), tests of firing V-2:s off submarines to reach American cities, etcetera. Most innovations were too late for any serial production during World War 2. Instead the rocket was to become a part of the arms race insanity during the cold war. And thus began the fear that my generation knows as the fear of the cold war. Rausching, Hermann: Samtal med Hitler, tillägg, Natur och Kultur 1940. 2The term "pretorian organization" comes from the Roman empire, and adresses troops directly commanded by the emperor, in this case Adolf Hitler. 3Borkin pg 153ff, IG Farben also performed surface inspection of the rockets, see Bode & Kaiser pg 100. 5Bode & Kaiser pg 136, 139, 146. 7The Germans were also first in trying out manned rocket flight. This first flight was conducted in a "Natter" rocket constructed by Erich Bachem, and took place on February 28th 1945. The pilot, Lothar Siebert, died in the test. Three successful manned flights were conducted later. 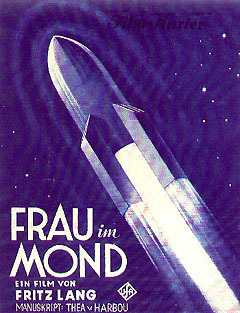 8The first rocket launched October 3rd 1942 mentioned earlier had a Frau im Mond-logotype painted on its side. 10Tony Sale, http://www.codesandciphers.org.uk/ verified 2000-10-19. 17The exact dates November 18th and 30th 1943, and May 11th 1944. Two more V-1:s were to crash in Sweden on September 7th and November 1st 1944, Widfeldt & Wegman pg 181-82. 18King & Kutta pg 184. 21Kjellson, sid 1, 6, King & Kutta, sid 225. 22Neufeld pg 237, King & Kutta pg 225-226, Jones pg 431. There are some dubious information saying the real reason for the airburst was that the Germans wanted to test the reach of the missile. This i probably not true, as that could easily be done over Poland. Also note that King & Kutta has for some reason confused Bäckebo for Malmö. 26Educated guess by Tracy Dungan, refering to Huzel: Peenemünde to Canaveral, which states that all rockets at this time were manufactured in Mittelbau. 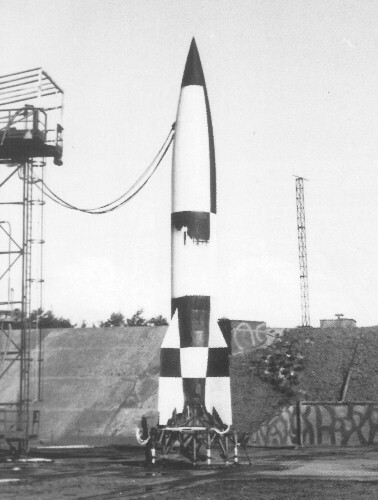 No facts tell us the missile was repainted black and white, but as the experiment was aimed at testing aerial movement it is plausible that the rocket was repainted. 27This was common, see Neufeld pg 220-24, 230. 29This is my own hypthesis, but other reasons for a weak warhead are hard to think of. 30The order to the papers could not have been given any earlier than 1944-06-17, the day of the last report in the local newspaper, Kalmar läns tidning. The 15th there were even photographs of the rocket engine in Kalmar läns tidning. 32Kjellson pg 1. Some oral stories tells that a motor hearse was used for some of the transports, in order not to arise attention. There are also stories about German "spies" around Bäckebo. None of this is founded in hard facts. 36Boëthius 1991, 1999 pg 60. 40Leifland pg 135, see also Jones pg 431. 42King & Kutta pg 226. 46The British in question were W.H. Allen, J.F. Mead, E.C. Gardner and D.T. Burgess. Leifland pg 148. 47A few missiles used radio-"beams" for taregetting.